All prices are transparent & are given in advance. Please see the "Pricing Guide" tab to view my booklet for 2019. Sessions include the styling, your chosen digital collection, matching prints and a personalised app showcasing your chosen images. The first year of your little ones life is ever changing. These fleeting magical moments pass by so quickly & capturing these precious times through classic creative imagery is what I specialise in. Maternity, Newborn, Baby Tummy (3-6m), Baby Sitting (6-8m) & 1st Birthday Session’s are available.Cake Smashes include the cake. All styling is provided for all newborn and baby photography sessions. My newborn work is highly sought after & it’s advisable to book as early as possible to secure these sessions. Newborn sessions are ideally done when baby is 4-14 days old so book in around your 12 or 20 week scan. I do photograph Newborns when their a little older too so please contact me to discuss. Only a set amount of Newborns are booked in per month to allow for some flexibility when scheduling these specialised sessions. Baby Tummy, Baby Sitting & 1st Birthday/Cake Smash Sessions are also available at the studio. Newborn & baby Sessions are held in my beautiful baby studio 16 Forest Road, Meols, Wirral, CH47 6AU with people traveling from all over the UK but mainly Wirral, Liverpool & Cheshire. Plenty of time is allocated to each session to allow you time for feeding & cuddling your baby. You will be asked some styling questions prior to your session. Outfits are provided for Newborn - Baby Sessions. I also provide classic dresses for big Sisters up to 8 years. Ample parking is available outside the studio. Contact me to arrange a session date. Newborn Photography Sessions can be booked in after your 12 week scan. Only a set amount of newborns are booked in per week/month. This enables us to move the session date free of charge if need be .Your £100 needs to be paid in full when booking your session. A link will be sent to you were you can secure your session & pay by card. Card payments are accepted. I will travel to your location free of charge for Location Family Sessions if within 10 miles of Meols. There is a charge of 50 pence per mile after the first 10 miles. Siblings can be included on our photography sessions. Kate Jades Photography reserves the right to use any photograph in any form such as, but not limited to, the use in advertising, reproduction, and copyright. All images are copyrighted by Kate Jades Photography, even those you purchase. Digital images come with a print release to enable you to print & create wall art. Copying, scanning or reproducing­­­ images is strictly prohibited. Print-screening images is also prohibited. Prices are subject to change without notice & are non-negotiable in order to be fair to all clients Sessions booked secure the current prices at time of booking. Due to the custom nature of photographic products, no refunds will be issues. Session dates can be moved due to illness. By hiring Kate Jades Photography, you agree to these terms. Welcoming families from all over the North West including Wirral, Liverpool, Cheshire, Chester and Wales. Sessions include Newborn Photography, Baby Photography, Family Photography, Cake Smash Photography, Maternity Photography & 1st Birthday Photography. 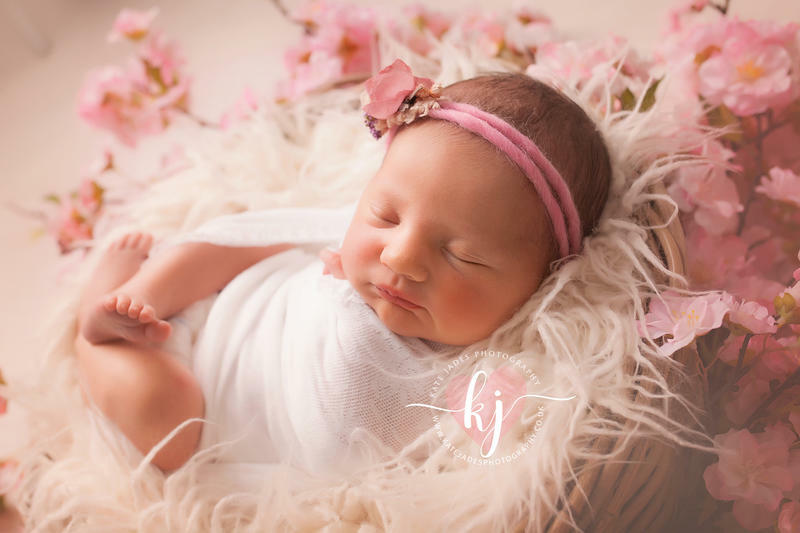 Kate Jades Photography 2019 Newborn photographer based in Meols and covering Wirral, Cheshire and Liverpool. Family photography includes maternity, newborn, baby, children and family.